Cleaning a dryer vent is one of the most important tasks in modern households these days. Leaving lint building up in the vents and clogging the ducts will not only limit down the capacities of your dryer but it will be a great hazard to your safety! Do you want deathly weapons installed in your kitchen? Well, thousands of house fires start at laundry rooms and, due to these incidents, tens of people have lost their lives, hundreds were seriously injured and millions of dollars were spent for home damage. We usually talk about the importance of air duct cleaning for our health and home conditions but failure to clean vents might have deadly repercussions. So, you actually have thousands of reasons why you should clean the dryer vents. Are you still wondering if dryer vent cleaning is necessary? When clothes are drying, they produce lint that is concentrated in the vents. Lint needs to be removed occasionally or it will obstruct airflow. Consequently, the temperature of the dryer will increase, the appliance won't work at its full efficiency and there is always a chance of starting a fire. Air vent cleaning service is absolutely necessary. Don't forget that modern homes have different structures than older ones. Dryers are installed near the kitchen, in bathrooms or storage rooms and, in some cases, the vents travel a long distance and bend in corners before they reach the appliance. Therefore, lint will be found across the length of the vent and it will be harder to remove it once it is fully concentrated in high amounts. Dryer vent replacement will be necessary if the vents are damaged. Though, if you don't inspect them often, you will start losing energy without knowing the source of the problem. At the same time, consumers started investing in natural gas dryers. 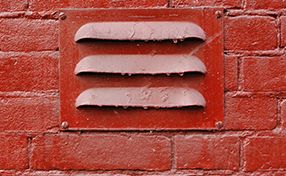 Failure to check and clean the vents often could lead to severe accidents. Any problems with the vents will blog the removal of carbon monoxide, which will return back into the house with the expected consequences. 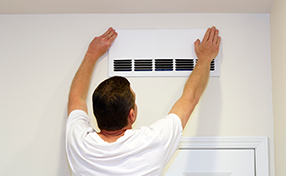 Problems could also be caused by nesting birds or small animals in the vents. So, dryer vent repair and cleaning are both important for your safety!